An Alkaline Diet is a type of diet that emphasizes on the consumption of citrus fruits, fresh vegetables, tubers, legumes, and nuts. The diet discourages the use of grains, excess salt, dairy, and meat. The diet promotes healthy alkalinity in the blood (pH 7.35 – pH 7.45), and prevents acidity (pH 5.0 – pH 7.0). The diet maintains this balance, which is essential for the body to sustain itself. 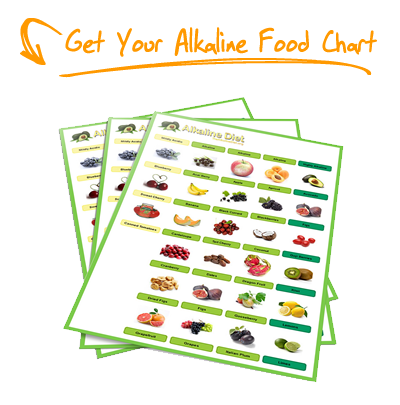 Alkaline Diets are known for their ability to counter and prevent various diseases, which include cancer. What are the main causes of cancer, and how can Alkaline Diets prevent the disease? The body consists of cells. Each and every cell in the body absorbs oxygen, glucose, and nutrients, which are essential in cell regeneration, and discards toxins, which can prove to be harmful. The immune system is the first line of defense against these toxins, and is responsible for the toxin’s expulsion. As acidity develops in the body, toxins overwhelm the immune system, the cells lose its ability to absorb oxygen, thus preventing regeneration, and disease is imminent. In extreme cases, Cancer may soon develop. So where do Alkaline Diets come in? Microorganisms, like bacteria, yeast, and fungus, which cause a variety of diseases, thrive in acid-based environments. They then affect healthy cells, and cause cancer cells in the body. These microorganisms cannot survive, or remain in a dormant state, in healthy levels of alkalinity. Anaerobic cancer cells cannot develop in high levels of oxygen. When the cells in the body lack oxygen, this creates an opportunity, and is an ideal condition for cancer cells to develop. If the healthy levels of Alkalinity in the body are maintained, the immune system is better utilized, and the possibility mentioned above is thwarted. The possibility of developing cancer is averted. Delving deeper, how do Alkaline Diets avert the development of cancer? 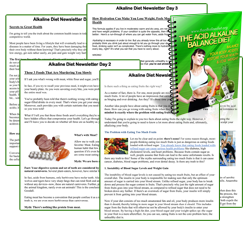 Alkaline Diets maintain healthy levels of alkalinity in the body. When the cells are highly alkaline, they absorb more oxygen. Alkalized cells hold up to twenty times more oxygen, as compared to acidic cells. Cancer cells cannot survive in oxygen rich environments. If the cells in the body contain high levels of oxygen, consequently, cancer cells remain in a dormant state, and the chances of developing cancer narrows down. Therefore, high levels of acidity are the ideal conditions for cancer cells to thrive, and maintaining high levels of Alkalinity are vital in preventing or eliminating the spread of cancer. 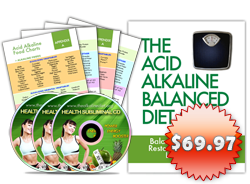 Not only do Alkaline Diets prevent disease, they also maintain vigor and health. Chlorophyll, the green pigmentation in the leaves of plants, is to what the concept of Alkaline Diets is derived. We have yet to tap the full potential of this wonder of nature. What we do know are the benefits it has to health. Food in alkaline Diets promotes a rich supply of energy, eliminating the harmful effects of excess acidity, and the most viable alternative (which may even be better) to synthetic medication. Hence, to ensure a disease and cancer-free life, Alkaline Diets are definitely worth giving a try. do you recommend clorophyll tablets? How effective is wheat or Barley Grass in providing the chlorophyll and its benefits and is powder form or tablets an appropriate was to ingest when compared to “shots” of fresh juice?